Private & Custom on 33+/- acs w/amazing mountain views! Rustic open floor plan w/ exterior wood pillars & stone and inside knotty alder, stone and granite accents. 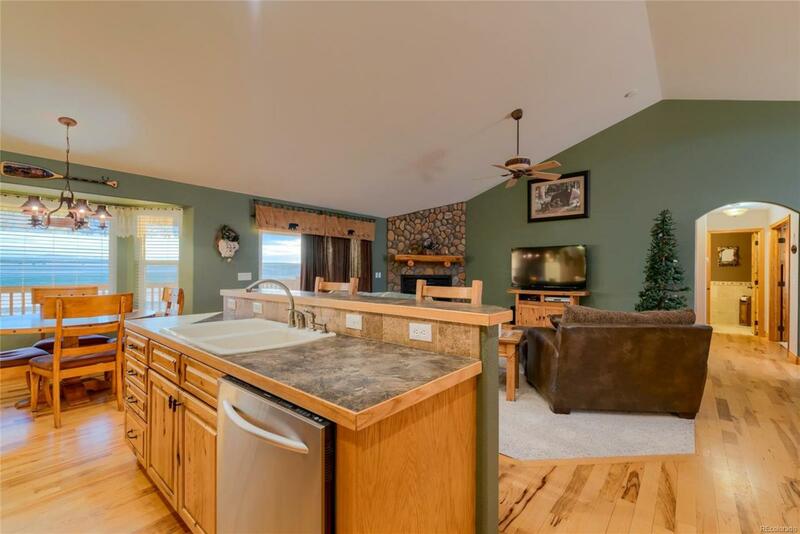 Open living room w/stone gas fireplace open to kitchen w/granite counters. 42' knotty alder cabinets, large pantry & eatin dining area + separate dining room w/wood flrs and stone inlay. Huge master bdrm w/ private deck access + 5 piece master bath w/soaker tub, dual head shower and massive walk in closet w/built-ins. Main floor also incls. separate study, laundry & mud room + 2 more bdrms, full bath and powder room. 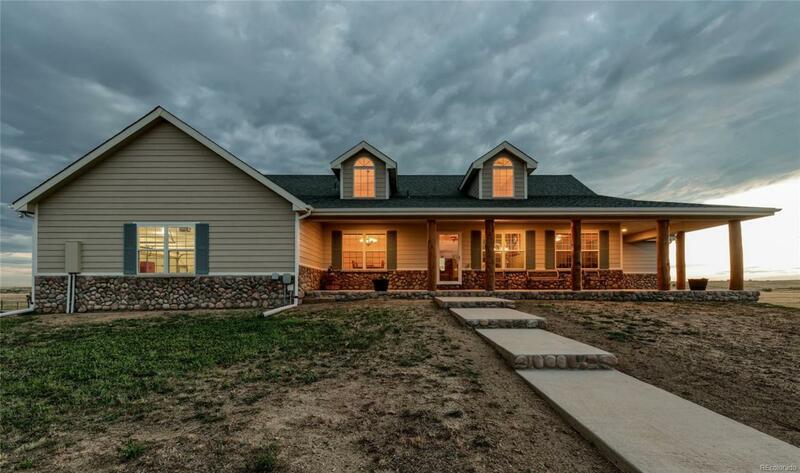 Finished walkout basement w/separate family & rec room, stone gas fireplace, full bath, bonus room + 2 bedrooms with mountain views & tons of storage area. 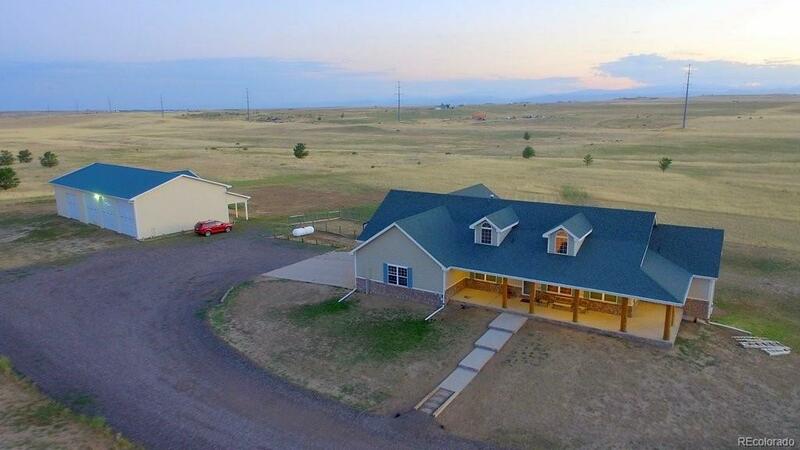 Large composite deck partially covered and covered patio, dog run, shed, domestic well with 4 water hydrants, 3 car attached garage & 4160 SF barn/shop roughin stalls. Diamond Home Warranty Included.